Work being carried out on the sinkhole today. Drivers on the A1 have been urged to plan ahead and leave extra time for journeys as urgent work continues to repair a hole found under the northbound carriageway. A contraflow was put in place between junctions 67 (Coal House) and 68 (Lobley Hill), near the Team Valley Trading Estate, in time for this morning’s peak period to enable traffic to travel in both directions along the route. It means there are two lanes travelling southbound and one travelling north. The hole, which is 3m deep and around 6.5m diameter and believed to be related to old mine workings in the area, has now been filled with a specialist concrete mixture. Contractors working for Highways England are now drilling holes to pump more material underneath the repair to prevent further collapse. It is intended the carriageways will be safe to re-open to drivers on Wednesday morning. Highways England is continuing to work to put extra measures in place to minimise disruption and has suspended roadworks on other key routes which are likely to be affected by traffic diverted from the A1. Toll barriers have also been lifted for the Tyne Tunnel. But, as the road carries an average 90,000 vehicles a day, there will be disruption on the A1, on the diversion routes and in the area, so drivers are advised to leave extra time for their journeys. Rob Beckitt, duty operations manager at Highways England, said: “We have been working hard since the hole was discovered and our contractors have now started work on the second stage of repairs after filling it with a specialist concrete mix. * For local traffic, a diversion will also remain in place through the Team Valley trading estate between junctions 67 and 68. 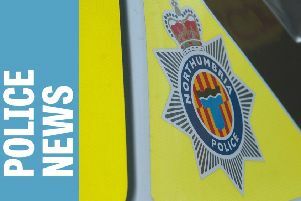 * Longer distance traffic will be advised to use the A19 eastern route around Newcastle and Gateshead as an alternative to the A1 – and toll barriers for the Tyne Tunnel have been lifted. Some planned closures for roadworks on the A19 have also been suspended. * A1 traffic heading further north towards Scotland will be advised to use the A66 from Scotch Corner across to the M6. Some roadworks on the A66 have also been suspended to help this. The large hole under the A1 was discovered by Highways England on Saturday night when a slight dip in the road surface became apparent. Workers then cut around the dip to investigate and discovered a large void underneath the road surface. Thankfully, it was in a coned off stretch due to roadworks elsewhere on the A1, so there was no traffic using the road at the time. Road users will be advised when the carriageway will be reopened. Highways England provides live traffic information via its website www.highways.gov.uk/traffic, local and national radio travel bulletins, electronic road signs and mobile platforms, such as Android and iPhone apps. The Tyne Tunnel was free today.